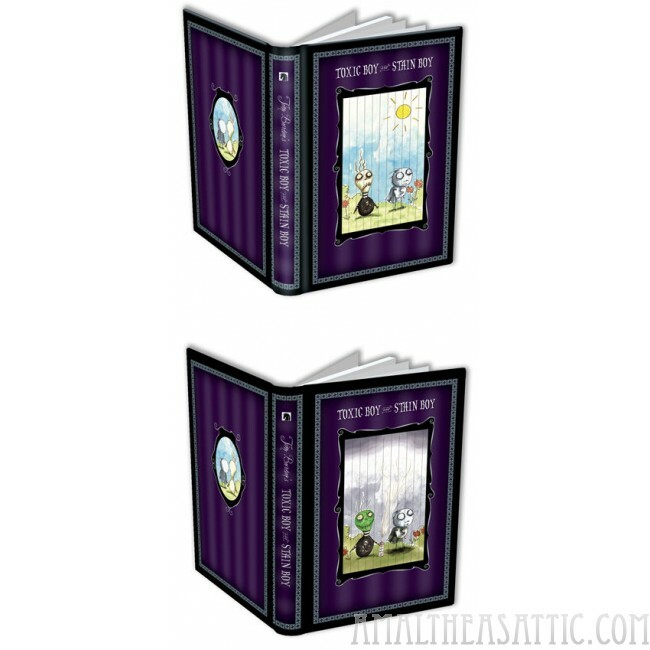 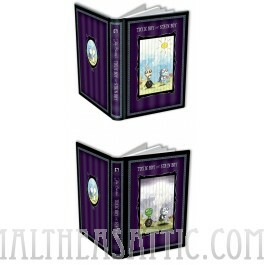 Dark Horse Deluxe continues with new Tim Burton items, and they are sure to fascinate! 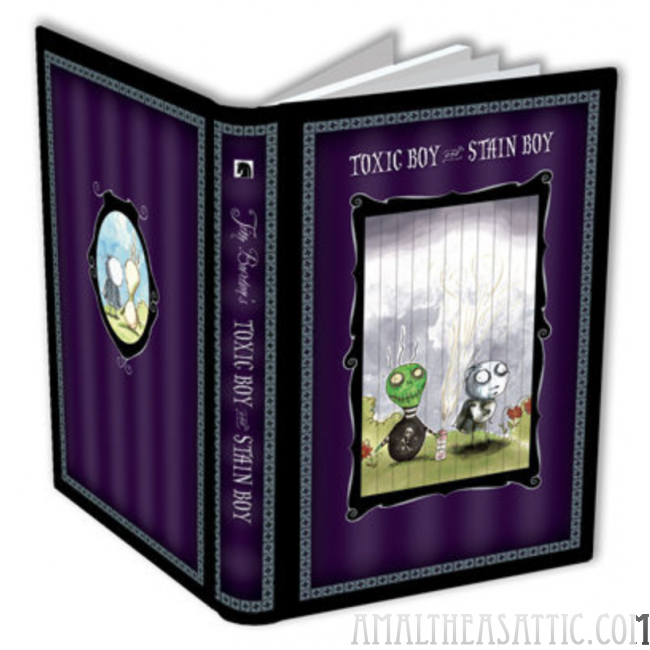 This month we offer up the pull-tab journal, with an ingenious function to entertain you: the image of Toxic Boy and Stain Boy changes when you pull the tab. 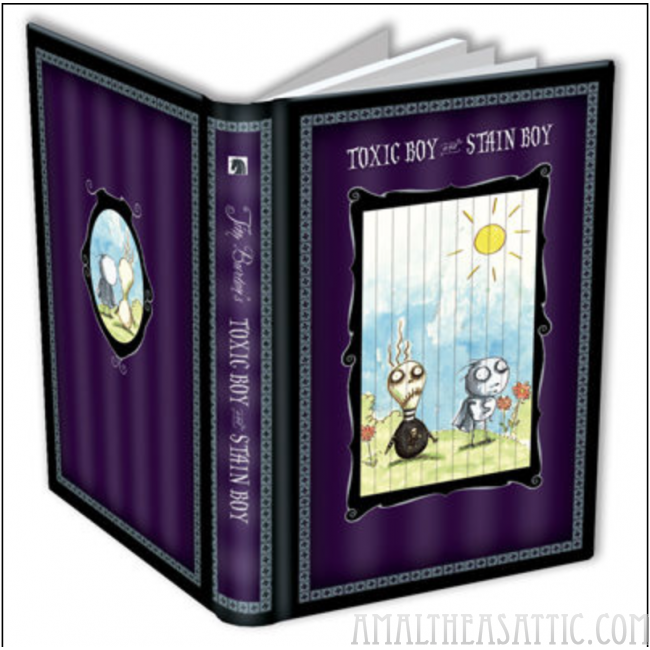 Hours of strange is fun provided as Toxic Boy lightens the mood with his handy can of hair spray.